A Dixonverse classic reworked a tiny bit. It’s not easy breaking into comics. I’m writing this in response to the many questions I get about “getting in”. What I offer here is by no means a single, sure-shot way of getting into the field of writing comic books. It’s just a series of pointers and hard facts that MIGHT help you. A writer has to get his stories across to someone. Either through blind submissions to editors or meeting them at conventions or wangling appointments at the home offices. You actually have to get them to READ your material. They’re JOB is reading material. The last thing they want to do is read MORE material. This makes your task Herculean in the extreme. Send your submission by a form the editor has to sign for. FedEX or Express Mail or whatnot. That way you can be 50% sure it got to the person you wanted to see it. Emailing material is great after you get the job. But to get noticed a physical package is best. I mean, how many emails do you delete a day? Target a specific editor. Pick the editor who edits the book you’re aiming at. Seems simple but a lot of people will just send stuff willy nilly. You’ll need to build a rapport with that editor. Not some phony baloney rapport. Find an editor you have something in common with. My first editor at Marvel shared a keen interest in military history with me. It was something to talk about besides comics. Follow up with a call. Call the editor on the phone and ask if he’s read your submission yet. Don’t be rude but be persistant. Eventually they’ll read it to get you to stop calling. Unless of course they like your stuff then they’ll welcome calls. So, you have be ready to spring on editors at convention panels and hallways and jungle clearings and anywhere else they gather. But don’t be rude. Just persistent. Never be critical of your editor’s choices. Never point to the covers tacked on the wall of his office and say, “I can write better than THAT guy!” He hired THAT guy. You’re insulting his taste in writers. You may be insulting his brother-in-law as well. The best part of this job is the writing. The adoration, which is fleeting and facile most of the time, is WAAAAAY down on the list right after getting to go to work in your bathrobe and boxers. The form you submit in is up to you. They’ll tell you to limit yourself to two paragraphs. I say tell the story in whatever form you’re comfortable with. It won’t do you any good to murder your story by cramming it into two paragraphs. “Then the Rhino hits the Hulk back…” The rejoinder to this is that if you’re story’s so good you shouldn’t need more than two paragraphs. I say, if your story’s that good you should be selling it to Hollywood and not a comic book company. Build a network of freelancers. Editors can be evasive. But you can find freelancers at any convention sitting at tables for the express purpose of meeting the public. The more freelancers you know the more inside info you’ll get. The stuff you read in Wizard is either just rumor or hype and is all ancient history by the time you read it. You need to know about new projects and assignments WHEN they’re happening. If you know writers and pencilers and inkers and letterers they’ll tell you when the writer for Captain Fabulous and the Inhibitors is getting fired. They mention in conversation that Marvelous Woman’s sidekick is getting her own title. My big break at Marvel happened when Hilary Barta told me there was a new anthology book looking for writers. Don’t submit stuff for a company’s most popular characters. There’s plenty of guys who want to write Batman or X-men or Star Wars. They got them covered and they’re not gonna hire a new guy and put them on those books. The best road is to find a forgotten or fallow character and come up with a new take on him or her. Something beyond “now he’s got ATTITUDE!” Alan Moore’s new take on Swamp Thing is a classic example. Maybe the Squid Squad haven’t had their own book in twenty years. You come up with a way to make them fresh and make an editor and comics company happy. Look around the rest of this site. There’s a sample script and some other articles on the nuts and bolts of comics scripting. I’ll be adding more so stop back. That’s all I’ve got. The rest is up to you. Start at the beginning. 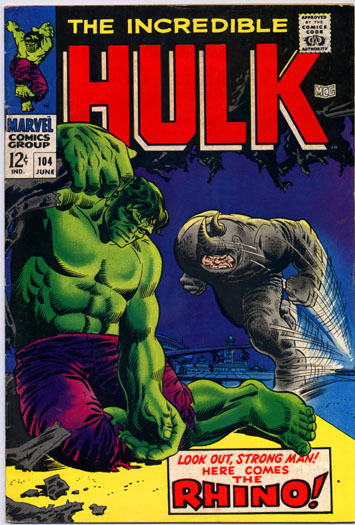 “The Hulk woke up really pissed that morning…” And just keep trying. CLICK HERE to order for Kindle or Paperback!